The EUR/USD currency pair reached a local minimum target of this correctional wave and may start forming a reversal pattern. 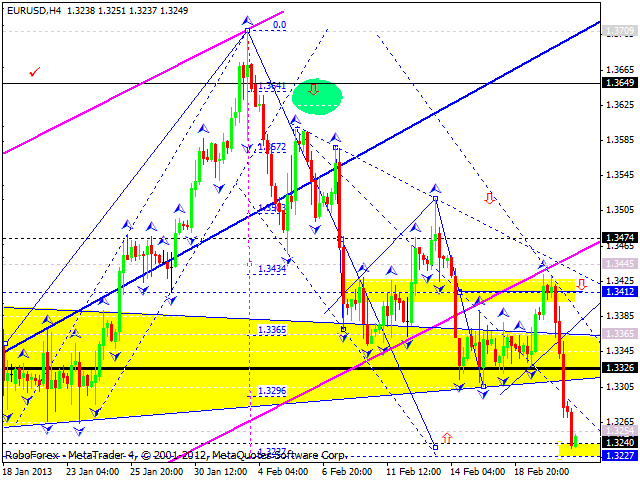 The first target is to test the level of 1.3400 from below. If the market is able to form a pivot point, we can expect a new ascending trend to start. 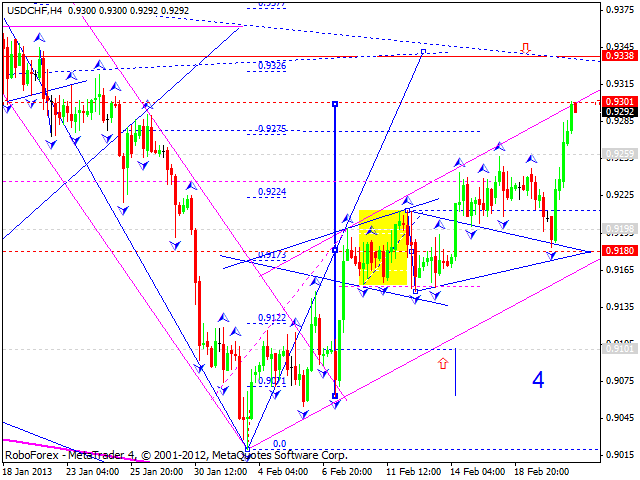 The GBP/USD currency pair completed a descending wave; now the market may start forming a reversal pattern. 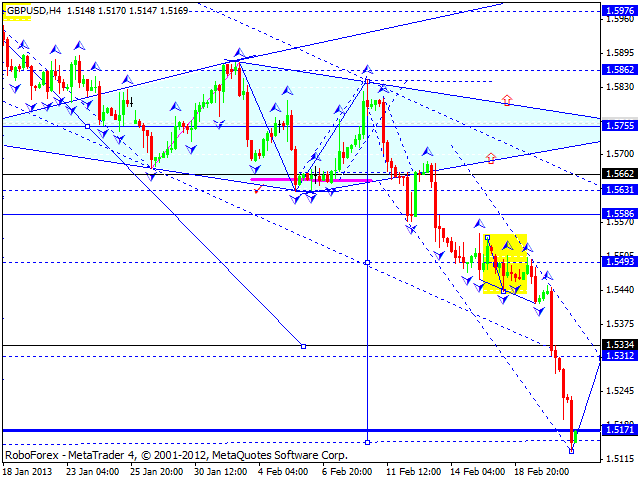 The first target is at 1.5755, the next one may be at the level of 1.6000. 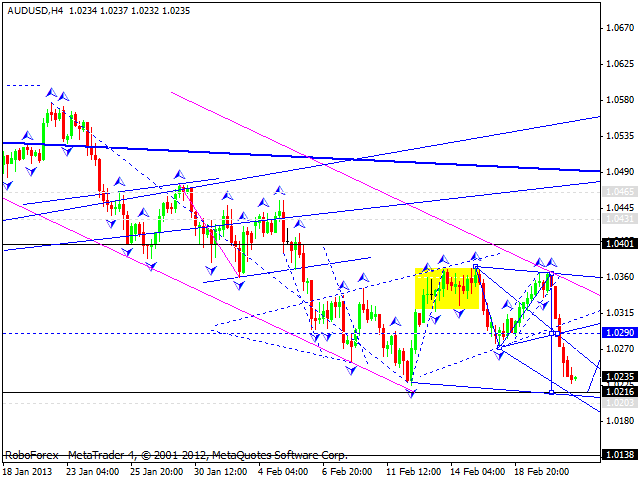 The USD/CHF currency pair reached a local target of this correction. I think today the price may start a new descending movement to test the level of 0.9180. The structure of this descending movement will help us to define, whether it’s a new trend or just a correction. 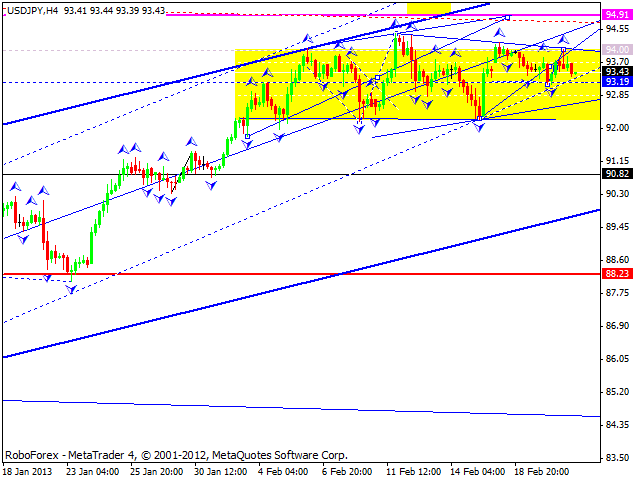 The USD/JPY currency pair continues moving inside a consolidation channel near its maximums. I think today the price may leave this channel upwards, reach the target at 95, and then start forming a new correction towards the level of 91. Australian Dollar continues moving downwards. I think today the price may reach the target at 1.0216, return to the level of 1.0290, and then start a new descending movement to reach a new minimum and the target at 1.0210. 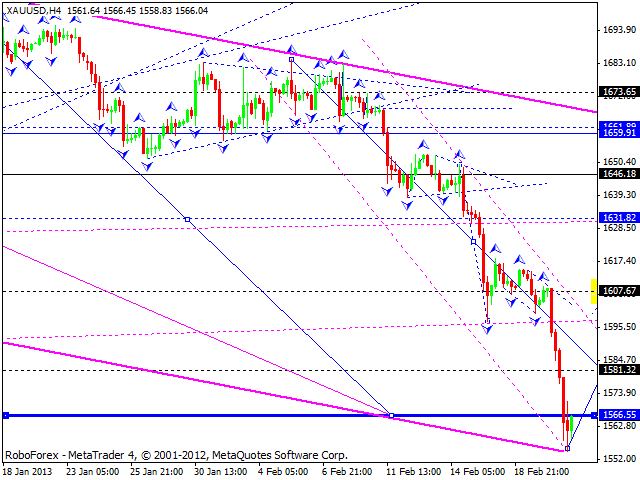 Gold continued moving downwards and reached its local target. I think today the instrument may form an ascending structure to return to the level of 1660 and then start a new descending movement towards the level of 1525.